Gazettes new pay scale : Bangladesh Government gazettes new pay scale for govt employees on December 15, 2015. There will not have any Time scale and selection grade. According to the new pay scale all employees will receive salary from January 1 , 2016 but effective from July 2015, Employees will get extra money from July 2015 wtih along January 2015 Salary. Employees who already got salary according to selection grade should not return money. The new pay structure for government employees in Bangladesh was approved on September 7, 2015 at a cabinet meeting with Prime Minister Sheikh Hasina in the chair. In the highest service grade (total 20 grades)., basic salary will rise by 95% to stand at Tk. 78,000 (fixed) and in the lowest grade by 101% to become Tk 8,250. Navy Chef Salary : 86000 taka. Air force Chief Salary : 86000 taka. Basic Pay for the these ranks of Lieutenant General Tk. 82000 taka. Major General salary 78000 taka for those chief ranks. Second Lieutenant Basic salary : 22000 taka. Cabinet Secretary Salary : 86000 taka. Prime Minister principal Secretary Salary : 86000 taka. Senior Secretary Salary : 82000 taka. BCS Cadre Salary for Dhaka City Corporation Area Job Place Tk. 37500+Education Allowance. House Allowance: 55% : 9600 Taka. BCS Cadre Sallary for Other City Corporations and Savar Job Place: Tk. 35000 + Education Allowance. BCS Cadre Salary for District and Upazila Area Job Place: Tk.33,840 + Education Allowance. For Childrean Education: 500 for One Child, 1000 for 2 Children. No Allowance of more than 2 Children. No Child, No Education Allowance. There are few more facilities for different BCS Job. Bangladeshi government employees can submit pay fixation form to the the accounting office. The Accounting Office will verify the information submitted in accordance with the new national payscal 2015 and finalize salary. There is not fix time for submitting pay fixation form, so you should not be hurry for entering your information to calculate salary. This form is application for government employees only. This form is not applicable for Bank and Semi-government employees. 2) Joining Date, Department, Position information. 3) Basic Salary and Grade on 30 June 2015. 4) Selection grade and time scale received to till date. 5) Need to print the pay fixation form. go to next step and enter your accurate information. The Pay commission’s Review body submitted their recommendation for public servants or Government employess in Bangladesh with a minimum basic salary of Tk 8,250 and a maximum basic salary of Tk 75,000 on May 13, 2015. Cabinet Secretary M. Musharraf Hossain Bhuiyan submitted the Pay Commission Review body report to the Finance minister. Finance Minister Muhith told reporters of the pay commission’s recommendations and said that the new pay scale for Government employees will be effective from 01 July 2015. On December 31, 2014 , the 8th pay commission, led by Mohammed Farashuddin, filed its report suggesting doubling the basic salary for civil servants with a minimum pay of 8,200 and maximum 80,000 taka. The Pay commission suggestions were forwarded to a review committee which submitted its recommendations on May 13, adding Tk 50 to the minimum basic salary and deducting Tk 5,000 from the maximum basic salary. In the first phase to be implemented in July 2015, basic salaries and allowances of all civil servants, defence staffs and teachers getting MPO would be increased. Full implementation of Pay scale, the government would need Tk 22,953 crore extra to the budgetary allocations of Tk 36,017 crore. The 8th Pay & Service Commission recommended doubling the salary for Government Employees on the average in its report submitted to the finance minister on Sunday, December 21, 2014. 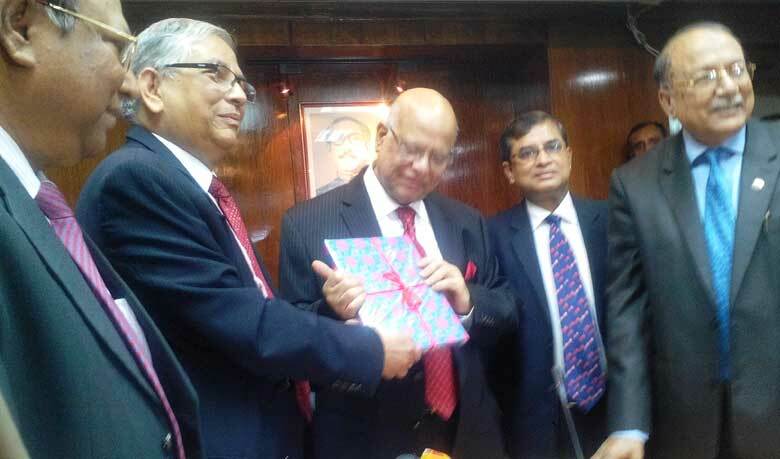 Pay Commission Chairman Mohammad Farashuddin, a former Bangladesh Bank governor, handed over the report to Minister AMA Muhith at his office. Maximum basic Salary – Tk 80,000. 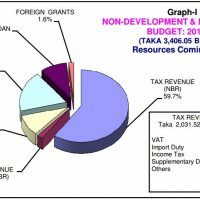 Govt’s total expenditure may increase – up to 63% (if implemented). Number of grades reduced to 16 from 20. Propose Government Service Retirement ceiling to 20 years. Mohammad Farashuddin said, “We have proposed doubling the basic salary on the average for the 1300000 civil servants employed in Bangladesh after submitting the report”. However, the employees in between the maximum & minimum salary structure have varying amount of raise. The main objective of the pay hike of the government employees was to provide incentive and curb on corruption among the 1300000 government service holder in Bangladesh. Bangladesh government’s total expenditure, for salary of civil servants, to implement the new recommendations may increase up to 63%, Mohammad Farashuddin said. The budget allocation on the expenditure has been brought down to 14.5% from the existing 15%. This will not affect the pay of the Government employees because the implementation of the new pay structure will come in phases, Dr. Mohammad Farashuddin said. This means, if this pay scale is implemented, the government will clear the increased basic Salary of all employees of July 2015, but not all will get their other allowances. In the report, number of grades in the civil service has been reduced to 16 from the previous 20. Dr Farashuddin said the base of the recommendations for the National Pay and Services Commission is about 6 years from 01.07.2009 to 30.06.2015. He said once the new pay structure is implemented, the existing 20 percent dearness allowance would be abolished. Farushuddin said the new pay structure has been proposed considering the family members of a government employees to 6 from the existing 4 which indicates this is a pro-welfare government. Besides, the New Pay Scale also considered the cumulative inflation from 2009 at about 63% while about 200000 new workforce entered the government jobs during this period. Dr. Farashuddin said the difference in terms of amount in between the grades has been proposed to widen further for which the salaries of a government servant would be doubled within 15 years due to increase of Salary. Besides, it has been proposed to give annual increment with a 5%t aggregate rate from the 4th to 16th grades. 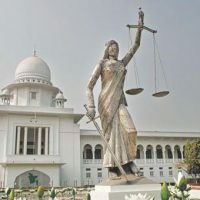 Dr Mohammad Farashuddin said the ratio between the lowest and the highest salary has been set at 1 : 9.076 while settlement allowance has been proposed for the newly appointed government officials and employees. Besides, additional salaries for the Grade-I Secretaries have been proposed at Tk 4,000 at a 5% rate for the additional charges. The Pay Commission put forwarded a recommendation to rationalize some of the allowances, including that of the house rents, in four tiers from the existing three at Dhaka Metropolitan, then Chittagong and other divisional cities, then Narayanganj, Cox’s Bazar and Savar and then other categories, including district towns. The 8th Pay and Services Commission also recommended distributing procured rice among of the members of village police (Ansar) at a very low price, implementing the new pay scale at the MPO enlisted schools 6 months after its formal implementation ie from January 2016, no need for a separate pay structure at the losing concern, autonomous and other government institutions. The Chairman said separate pay structures at the Bangladesh Bank could be made but the grade and scales would have to be equal with the National Pay Scale. About addressing the accommodation facilities for the civil servants, the Chairman of the pay commission said the government officials and employees could get flats on 60:40 ratio on higher purchase basis restructuring the old government buildings or on Khas lands. Besides, he said, the government could give basic salaries of 50 months on bank rates for purchasing 5 to 10 katha land for building houses to a group of 10 to 20 public servants, providing basic salaries of 50 months on bank interest rates subject to the proper purchasing documents of land. Dr Farashuddin said this would help revive the Bangladesh’s fragile housing and land development sector. He further said the government officials from the Grade III and above could be entitled to get car loans worth Tk 2500,000h on test basis for one year and if it seems to be successful, then it could be applied to the Grade IV officials. Farashuddin said the same method could be applied to the same rank officials of the autonomous and semiautonomous bodies, but the expenditure of maintenance of vehicles would have to be borne from their own sources. The Chairman said a comprehensive health insurance for every government officers and employees has been proposed at Tk 400 as general health premium and Tk 100 life premium. Besides, out of the surplus fund, a 500 bed cardiac hospital would be established. The Commission suggested reorganizing the existing Welfare Fund into 3-phases and to set up a ‘Somriddhi Sopan Bank’ with a paidup capital of Tk 400 crore through selling its 20-25 katha land near Dainik Bangla in Dhaka. Somriddhi Sopan Bank would be operated with the ownership of government servants where each of the government servants would have shares worth Tk 4,000 share. It would be operated on development and commercial basis enabling lending money from this bank at low interest rates. 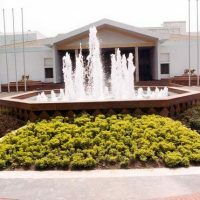 The Commission also recommended setting up of a permanent Pay and Services Commission or a Permanent Pay Commission, making plans before making reforms in the government jobs, considering the just demands of the non-cadre government officials and employees, preparing an organogram for those who remained at the same post for their whole life. Finance Minister of Bangladesh Abul Mal Abdul Muhit confirmed that new Pay Commission will be effected in the 2015-16 fiscal year. Mohit said this in the secretariat while talking to the reporters Tuesday September 2014. The report for the new commission to reconstruct the pay scale of the Government employees is not so far, says Muhit. The 17 member Pay-Commission of Bangladesh was formed heading the former Bangladesh Bank Governor Md. Farashuddin Ahmed in November 2014 . Finance Minister said PM also also approved and advised to make the new Pay-Commission workable from July 2015. In June 2014, Bangladesh PM Sheikh Hasina said her government will announce Pay Scale by December 2014. She said that the government formulated new pay scale when came in Power in the 9th Parliament and again formed a pay commission. Bangladesh government declare twice pay scale for garments workers also. The government may follow Pay Commission recommendation for new pay scale that will be effective from July 2015. It is a permanent solution by pay commission recommendation for govt employees after many years of waiting. The government employees will enjoy these facilities and maintain social status. Some experts said in recent talk show after the announcement of the commission report , this is not to worry about the impact in the socio-economy of Bangladesh. May the pay commission recommendation in favorer of govt officers and employees but there is no significant consequences that will not be faced 98% of populations of Bangladesh. If commission report is granted by the govt. then these facilities will an obstructer for them to do something bad to earn extra money. According the Commission report , minimum salary tk. 8200 for an employee who is also surviving with a 6 members family as like a higher grade officer.